As a beginner knitter, I find that flipping through an issue of Interweave Knits is similar to scanning a fitness magazine in the grocery store checkout line: they’re both full of unattainable things that make me feel very unaccomplished. Just as I feel that I’ll never be one of those toned, bronzed, perfect-hair-having models in the fitness magazine, I also feel like I’ll never be able to make the perfect sweaters I see in Knits. Just thinking about such knitting feats exhausts me. But that’s where accessories, and specifically the Buena Vista Stole, come in. 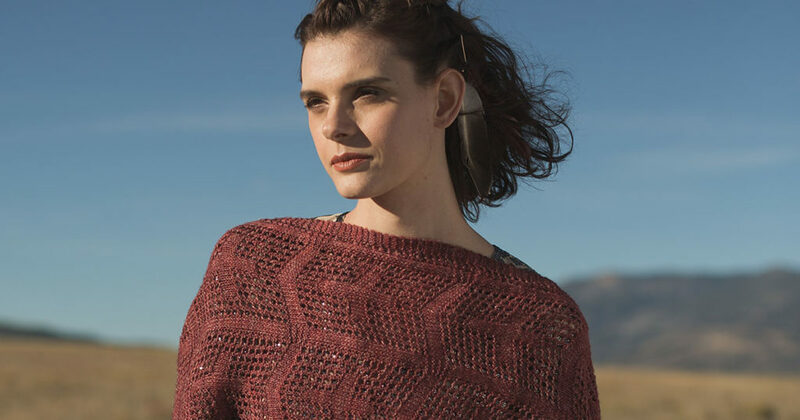 I am obsessed with the accessories in Interweave Knits Summer 2018, but the Buena Vista Stole by Sandhya Shadangi is my favorite. It’s a lightweight rectangular shawl that can be styled in an almost endless number of ways, making it a great multi-season knitting project. The pattern of crosses, garter stitch, and lace is easy to memorize, so you can work on this project at home in front of the TV or on the go. The yarn is similarly go-with-the-flow: Manos del Uruguay Milo is a soft, single-ply merino and linen blend with a rustic elegance that perfectly complements the Southwestern-inspired stitch pattern, thanks to its raw fibers and metallic shine. Plus, the linen fibers give the fabric great drape! I’m definitely adding the Buena Vista Stole to my summer knitting queue, and I’m looking forward to some easygoing lace knitting—and to having a beautiful new accessory for those crisp summer evenings. FINISHED SIZE 75¾” long and 18¼” wide. YARN Manos del Uruguay Milo (65% merino wool, 35% linen; 380 yd [347 m]/3½ oz [100 g]): #i2156 Venezia, 3 skeins. Yarn distributed by Fairmount Fibers. NEEDLES Size 6 (4 mm): 24″ circular (cir). Adjust needle size if necessary to obtain the correct gauge. GAUGE 23 sts and 30 rows = 4″ in charted patt. 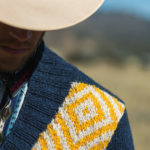 Find your way to Buena Vista and beyond in Interweave Knits Summer 2018.